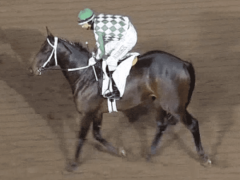 The Oklahoma Horse Racing Commission is investigating the sixth race at Will Rogers Downs on March 20 to confirm whether a wrong horse ran under the name of the winner, Hairy Win Machine. Hairy Win Machine is listed by Equibase as a 3-year-old dark bay or brown Oklahoma-bred colt by Read the Footnotes, bred and owned by prominent Oklahoma attorney Clark Brewster and trained by Scott Young. 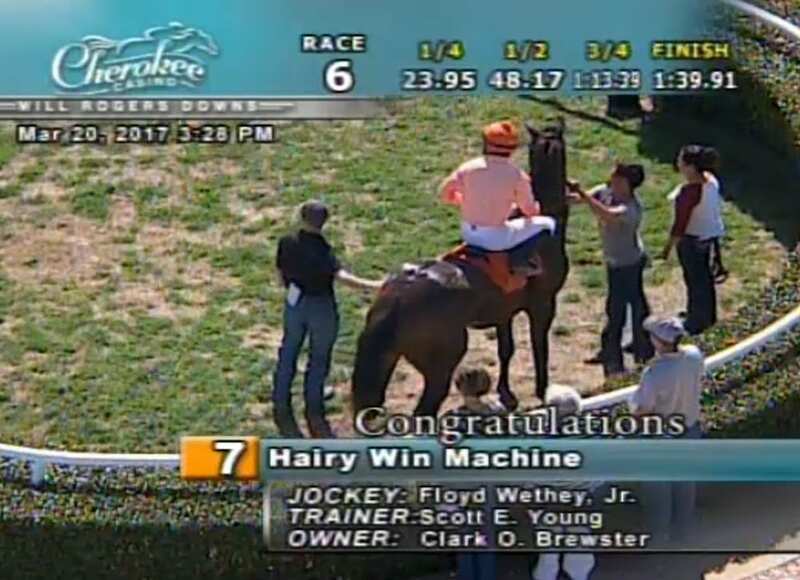 The March 20 race – a one mile event for $15,000 claimers that have never won two races – would have been Hairy Win Machine's first start for Young. He had two previous races, including a Dec. 10, 2016, maiden claiming victory at Remington Park, while under the care of Steve Asmussen. Young told the Paulick Report Hairy Win Machine and another horse came to him from a private training center in early February and that the Coggins certificates for the two had their lip tattoos reversed. He declined to name the other horse that apparently ran in the name of Hairy Win Machine but said it was a maiden that had started for another trainer. “I brought over to the race the horse that was sent to me as Hairy Win Machine (according to the Coggins certificate),” Young said. The mixup in identities was not caught prior to the race by the horse identifier, who has a listing of the correct lip tattoos from registration papers. It was detected in the detention barn after the race when post-race samples were taken for drug testing purposes, Young said. The winning horse of the March 20 race paid $4.40 as the 6-5 favorite. First place purse money from the $14,421 purse was $8,759. James Rucker, an attorney for the Oklahoma Department of Agriculture, said the investigation is ongoing to determine whether the winner of the race will be disqualified and any action taken against licensees involved in the case. This entry was posted in NL List, The Biz and tagged Clark Brewster, hairy win machine, Horse identifier, james rucker, oklahoma horse racing commission, scott young, will rogers downs by Ray Paulick. Bookmark the permalink.